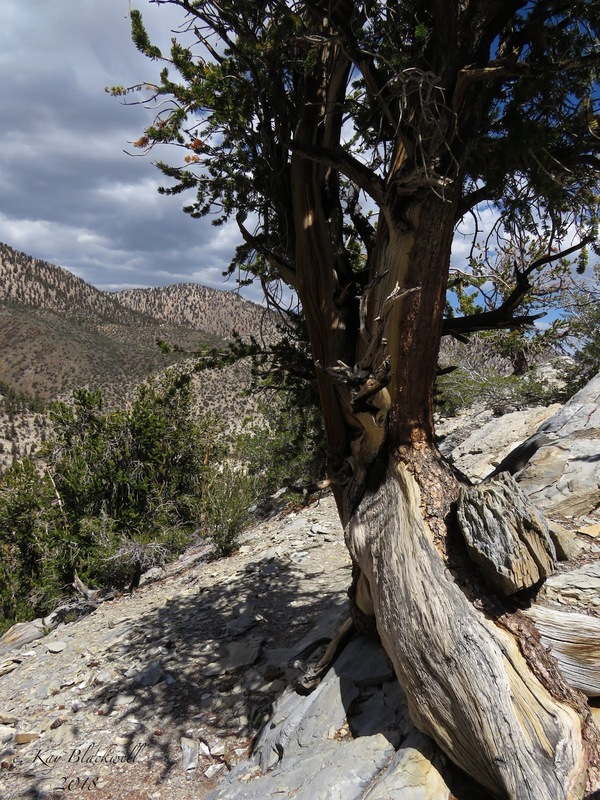 Those who enjoy the old twisted Great Basin Bristlecone Pines (or pinus longaeva) liken the trees to nature's sculptures. Starting the Bishop excursion up from Las Vegas, twelve hikers (5 cars) drove via caravan up to the White Mountain Road on Highway 168 inside the California state line. At the bottom of White Mountain Road, we consolidated to 4 cars and drove up the 11 miles of windy cliffy old paved road to the Schulman Grove Visitor Center. The visitor center is nice inside and they have recently upgraded their interpretive brochures. We picked up one and started out the trail behind the building on the Methuselah Loop Trail. 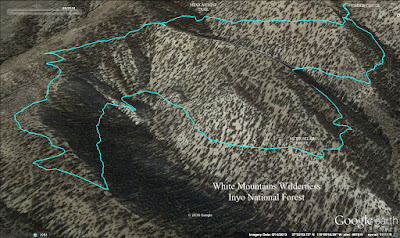 Immediately, some hikers could feel effects of the high elevation of just under 10,000 feet. Since this was an interpretive hike where we would stop at the numbered posts and read the corresponding number from the brochure, we pushed the pace a little. The rest stops would be built in and we had been sitting in the car for 3.5 hours. 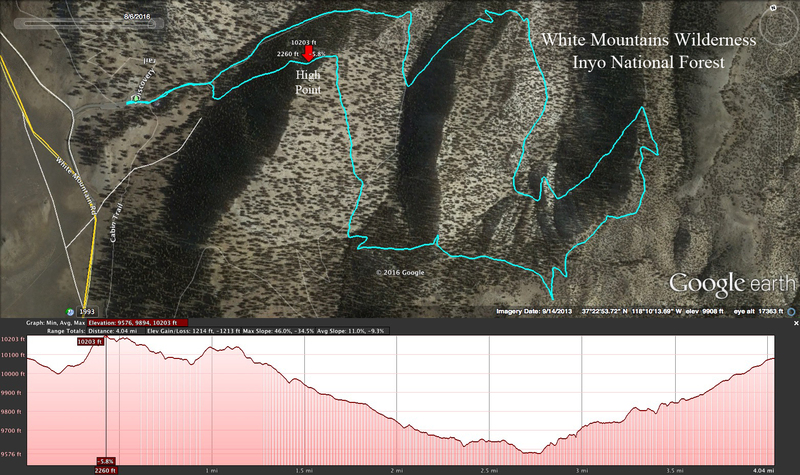 The little loop was a good short workout for an easy day. We climbed the trail up past the 10,000 foot level then coasted down through the sun. Even though there are bristlecones all along the trail, the oldest trees are later in the hike so, first, we read the brochure and learned a little about how the trees survive on such challenging terrain. We learned that the trees survive best when challenged! We were also reminded that the roots depend on shallowly spreading out to reach the moisture so the dirt among the roots are absolutely necessary for life. 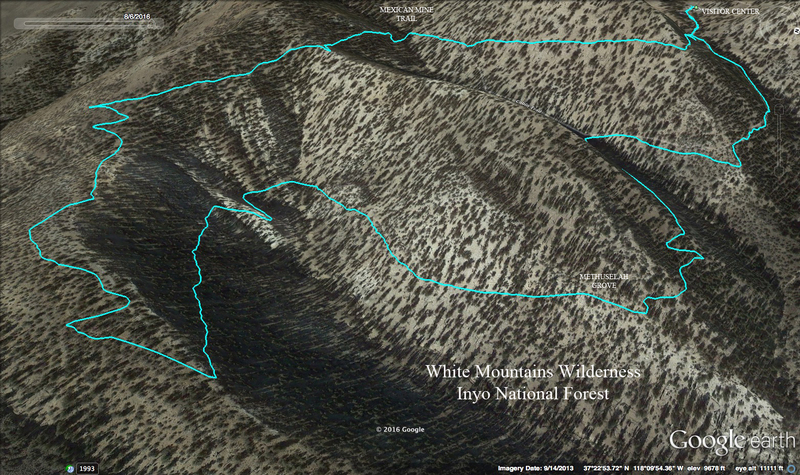 In other words ... don't sit on, in or around the roots of Raintree in the Spring Mountains! We also learned that the trees are very slow growing, depending on where it happens to take root. It can grow as slow as an inch a year. After coasting down the trail through the sun, we rounded to the warm side of the mountain. 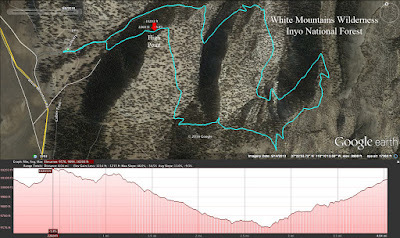 Immediately, the bristlecones changed to mountain mahogany! Here, there are wide views of the desert valley below. 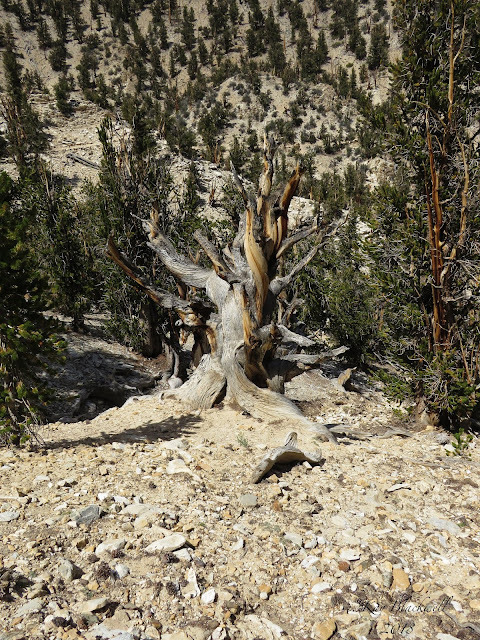 Upon re-entrance into the bristlecone grove, we passed a couple of interesting snags. Zigzagging above the cliffs, finally, we entered into the section called the Methuselah Grove. This is where the second oldest tree (Methuselah), 4850 years old, was found. (The oldest, found in 2013 is 5068 years old!) 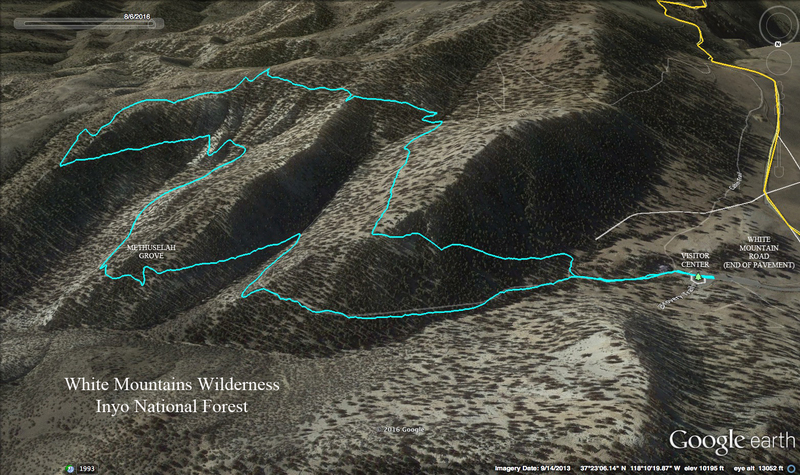 Of course, they don't tell you which one it is and it is probably well hidden up the hill from the trail. But, they do say that you walk by it on the hike. Hmmm. Which one is it? Anyway, all the trees here appear old and this is where the art surpasses the imagination. Climate pushes the trees to grow in various ways. This tree is a survivor! Near the end of that grove, there are many fallen trees lying around. The brochure says that some of this wood is upwards to 11,000 years old. They figured this out through cross aging. Another hmmm. The rings of a bristlecone tree are extremely tight knit and very difficult to count. So, assigning an age to a tree is not as easy as it sounds. Another fact they learn from studying the rings is climate changes over the eons. We circled around then began our climb back up to the visitor center and parking area. If you ever want to know anything about these wonderful old trees, this is the place to come and get the facts from the people who know. Protection of the trees is well founded. In 2008, arsonists set fire to the visitor center and a few of the trees were burned. Further up the White Mountain Road, there is another famous grove of trees that include the largest of the bristlecones. It is called The Patriarch! 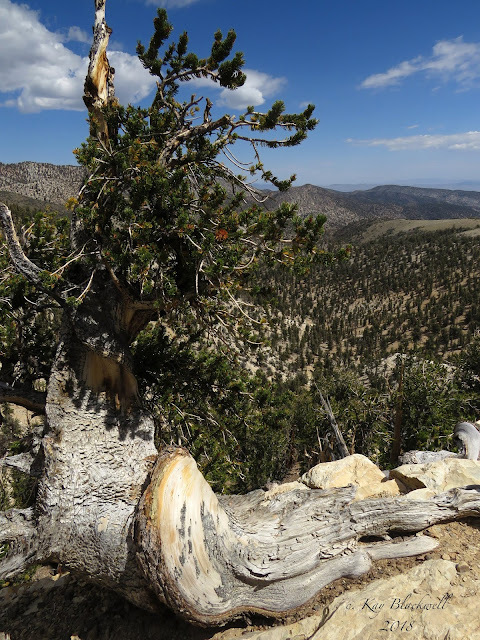 The bristlecone trees grow between 9,800 to 11,000 feet in elevation. We finished the trail and headed down to Bishop well informed!